One over arching theme that we saw during our journey in Milwaukee was one of renewal. Much like any community in America, Milwaukee has seen the constant ebb and flow of societal and economic changes. 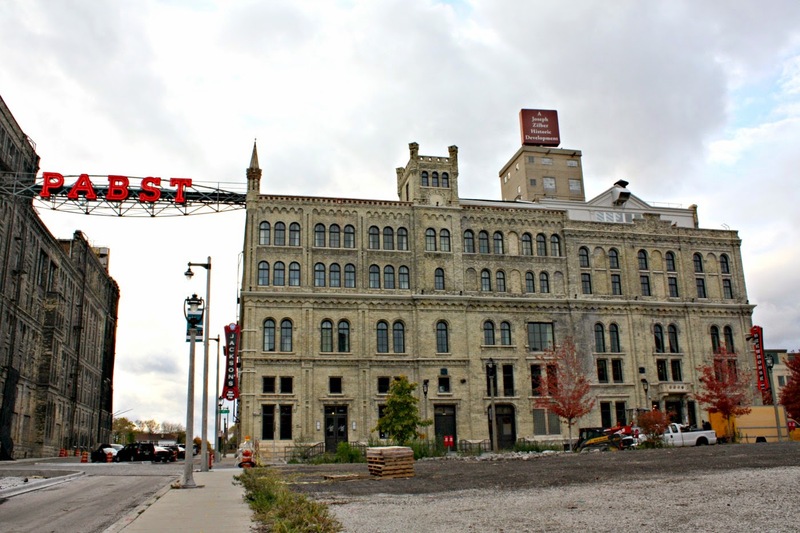 Perhaps one of the most pronounced examples of this was the closing of the Pabst Brewery in 1996 and its resurrection as a stunning hotel just last year. 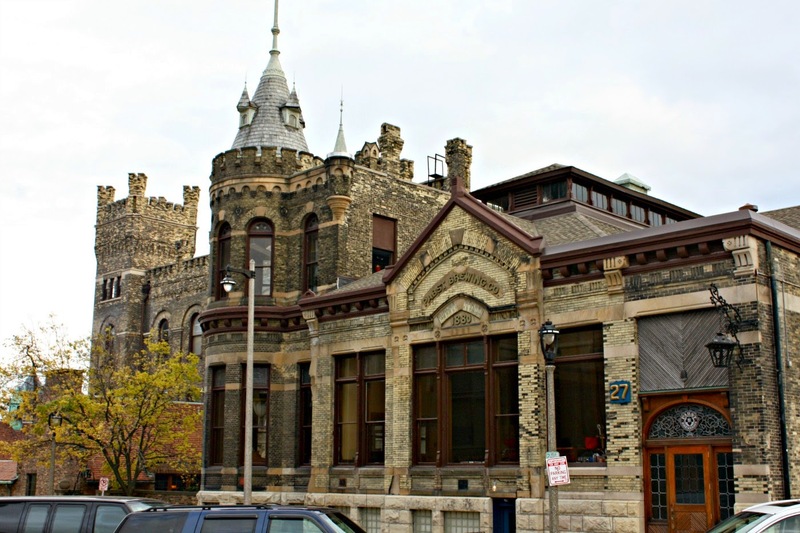 The Pabst Brewing Company's history in Milwaukee is long reaching beginning when Best & Company originally set up shop in 1844. Owner Philip Best's daughter Maria would marry Frederick Pabst who would himself become a brew master. Frederick in turn would purchase Philip's share of Best leading to Best Brewing becoming Pabst Brewing. Flash forward to more recent times and Pabst would find itself in a long and protracted battle with labor unions over wages and benefits. 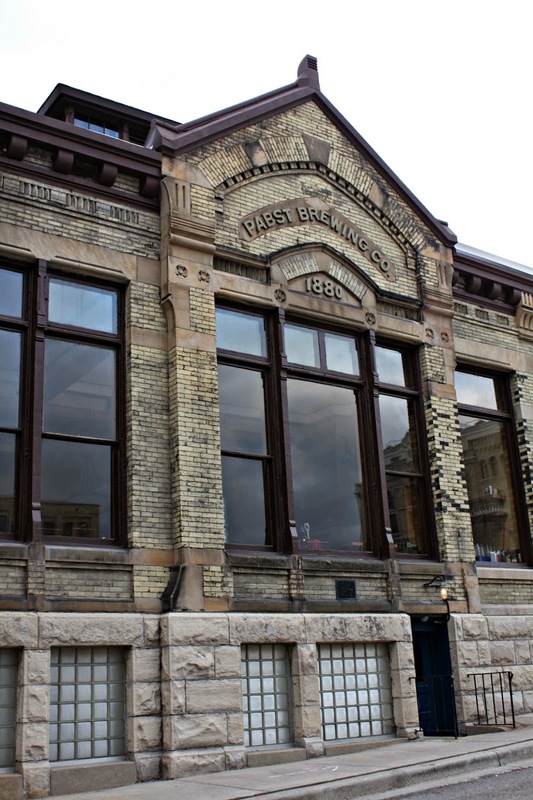 In a startling motion, Pabst ended operations in Milwaukee in 1996. 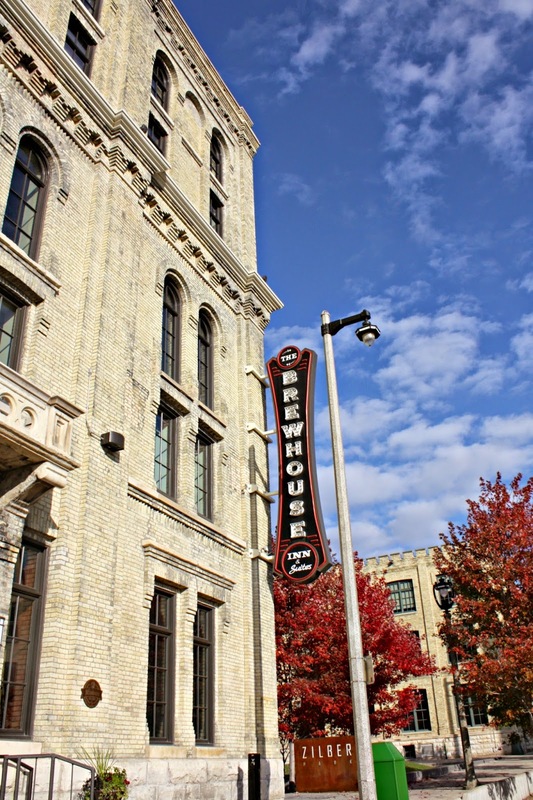 Brewing has long been a part of Milwaukee's heritage so the closing the loss of jobs and one more tie to Milwaukee's brewing history were demoralizing. 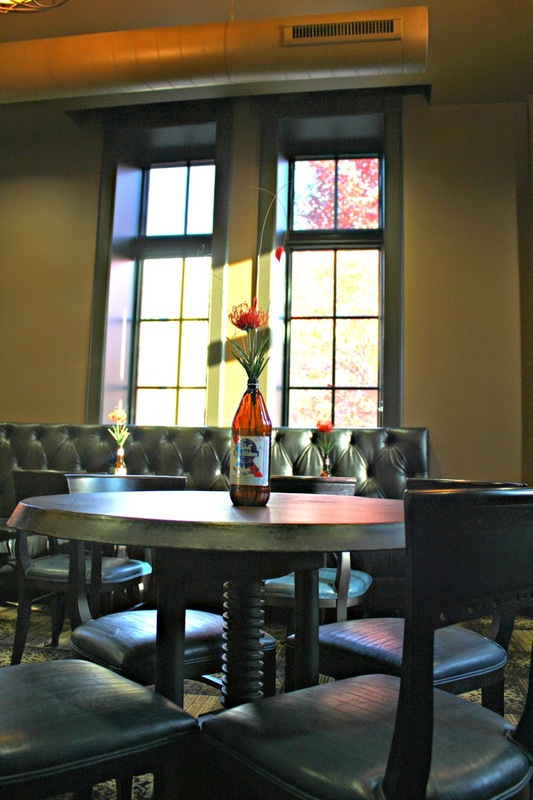 The nearby Best Place hosts beer history tours. Walking around the brewery, you cannot help but admire the artistry in the buildings. I am always amazed by how much detail has gone into all of these old breweries and distilleries. The emergence of The Brewhouse Inn and Suites in two of these buildings really stands as an inspiration and an example of revitalization of abandoned yet charming buildings. 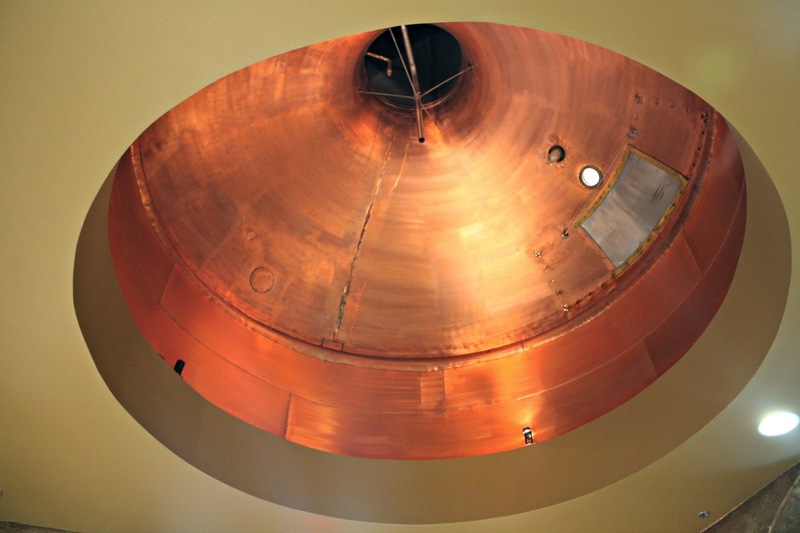 Real copper kettles from the brewery's past. 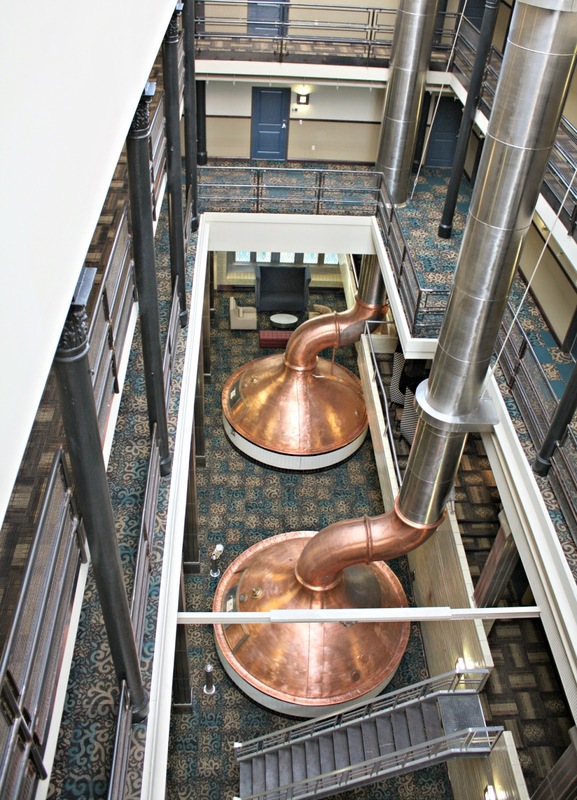 The Brewhouse Inn has made a great effort to incorporate original elements of the former brewery into the artistry of the new boutique hotel. Throughout the hotel, we admired the designer's reuse of brewery materials as well repurposed items. 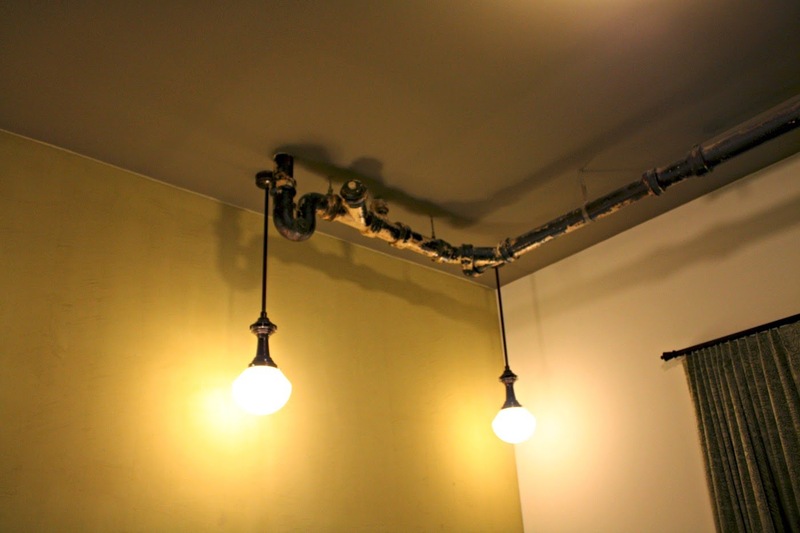 Copper kettles, pipes, a cast iron staircase, original brick--authentic pieces of the brewery's past. New guests admire the authentic pieces while they allow former Pabst employees to reminisce. 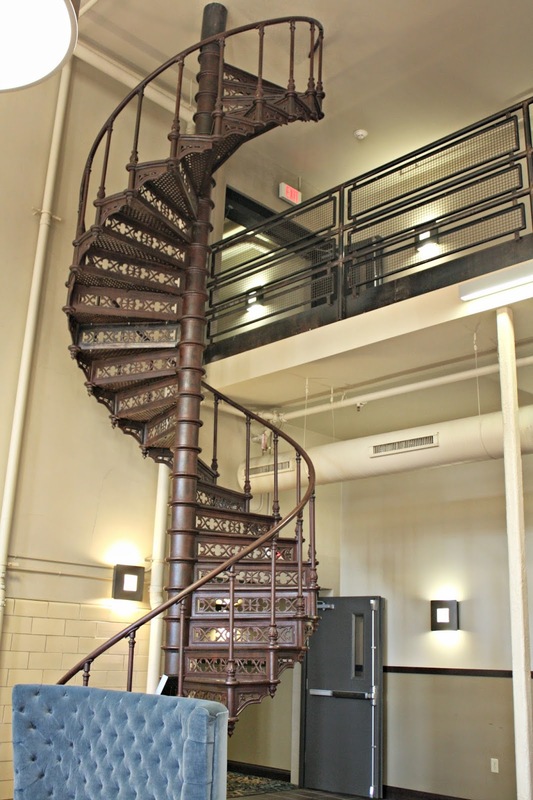 Pabst employees recall climbing this staircase one time too many. However, it melodically fits in the new hotel. Each of the rooms and suites with their own individual amenities seem well appointed and a dream to stay in. Ours had a full kitchen--a lifesaver for families! The kitchen table is lovingly made from repurposed wood! 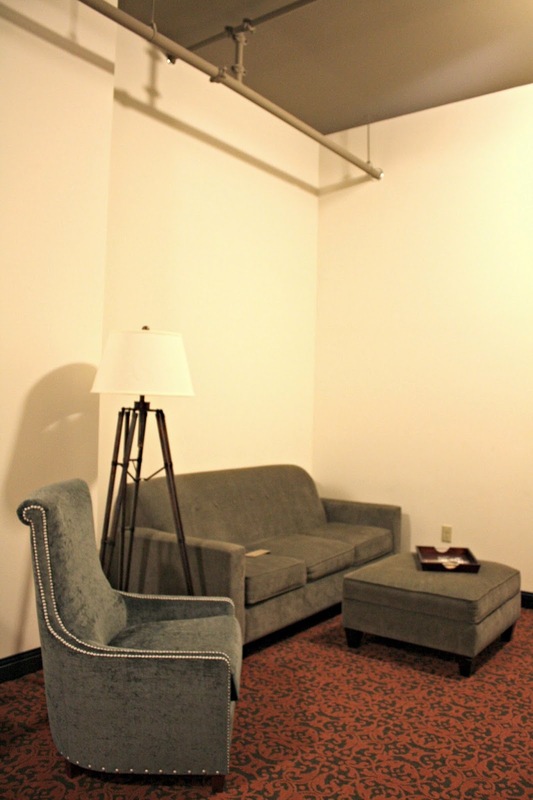 There was also a spacious sitting area providing a perfect spot for kicking back. Nice and comfy beds ready for slumber! 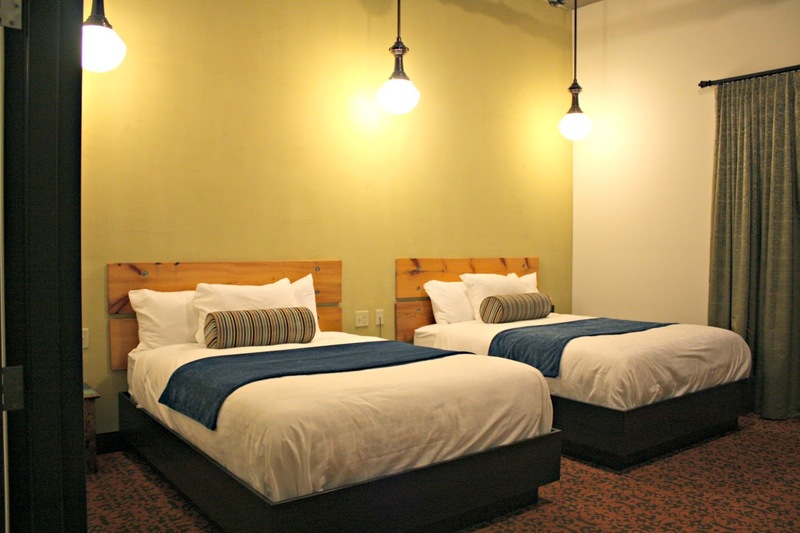 The repurposed headboard from wood from the brewery is a nod to the designers eco-conscious design. Of course, who cannot fall in love with the industrial elements putting the history of the structure on display. Seeing some of the "guts" of the building were particularly interesting to my daughter. So wonderful to see these pieces through the eyes of a child! We enjoyed walking around the hotel noting the original copper kettles. You can see them up close, from above and even below. A tranquil start of to the day in the Blue Room. 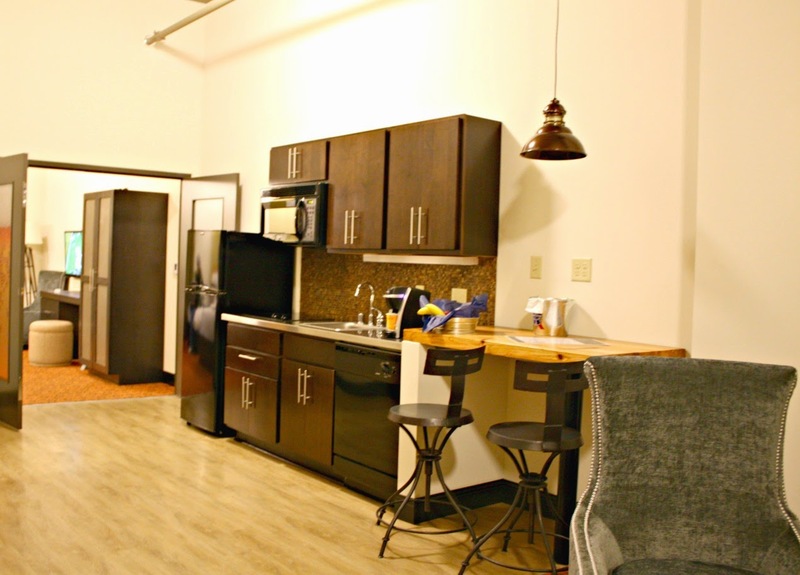 We had a lovely and rejuvenating stay at The Brewhouse Inn and Suites. Friendly staff, warm and intriguing ambiance, life being brought into an abandoned brewery all made our stay particularly memorable. Additionally, the hotel is well positioned and not too far from other attractions. In fact if you are looking to add your brewery experience, head over to the nearby Best Place for a beer history tour or just walk around enjoying the atmosphere for yourself! Before you leave, be sure to say hi to King Gambrinus, the patron saint of brewing! 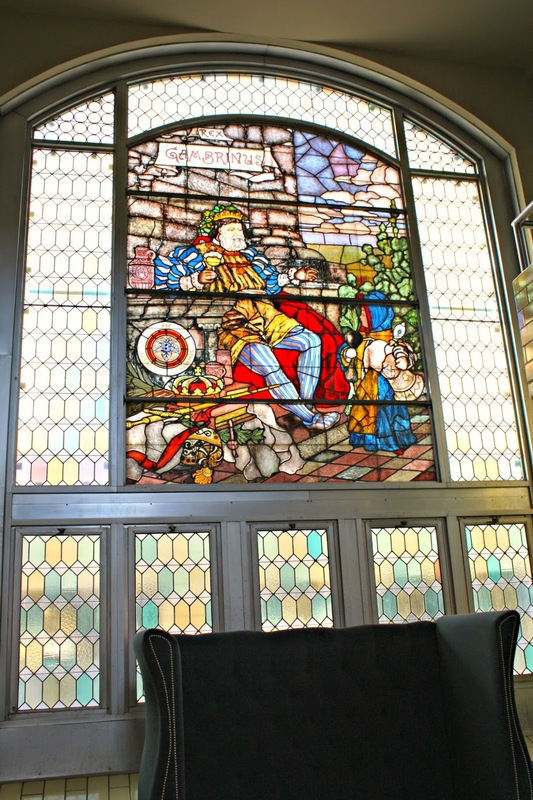 This lovely original stained glass window created by Frederick Wilhelm Heine was the last addition to the brewery before its opening in 1882 and is the perfect place to stop before leaving to reflect on your visit. Beautiful art and a beautiful experience at The Brewhouse Inn and Suites! Thank you to The Brewhouse Inn and Suites for hosting our visit! This looks like SUCH an amazing place!